A bluetooth connection usually operates in a radius of up to 100 meters, depending on the class of device, since there are up to 3 classes that have a range of 1 m for those of class 3, 5 to 10 m for those of class 2 and of up to 100 m for those of class 1. In order for two devices to connect to each other, both have to have the appropriate chips that are fortunately very economical, then we have to enable the bluetooth on and finally we have to pair the device that we want to connect with which is established the connection between both. All this takes more time to explain than to do so. Our tablet or smartphone devices become masters (master) and the channeling device is called a slave . Once a device (keyboard, printer, headset, modem, stylus, etc.) has been channeled for the first time, when the master device is turned on, the slave is enabled, as long as the bluetooth is on. Click the Windows Start menu and choose Settings . Select from your options the Devices option . A window like the one above opens. Find the Bluetooth option on the left and click on it. Make sure that the type of switch associated with it is activated to the right. Find the link More on the right in the More Bluetooth link . A window is displayed. Enable the Allow Bluetooth devices to find this computer box . Press the OK button . Does not the Bluetooth option appear in step 3? Then check that it is activated “physically”. It is usually done by a key on your PC or a combination of them. If you do not know how to do it consult the manual of your equipment. You can download it from the manufacturer’s website if needed. Look for it in your PC model. Or do a Google search for your computer model.If the Bluetooth device is a mouse or a keyboard, try also changing the batteries. First make sure it is enabled on it. Maybe you accidentally unplugged it. To use it then keep the screen of the phone where Bluetooth is configured all the time. Do not switch to another screen or application. Also, do not allow the mobile to be suspended or turned off until you finish transferring whatever you want via Bluetooth. Another common cause of problems is not having the Bluetooth drivers installed or need to update them. Especially when installing Windows 10 on Windows 7, 8 or 8.1. Get the latest drivers for Bluetooth. They are part of what are known as motherboard controllers. Click here to see how to download / update them . In addition to the Bluetooth drivers you should download the others available for your PC and Windows 10. Especially the network drivers. Like Wi-Fi / Wireless / Wireless / LAN or similar. If necessary, use another PC to download its installers. Then copy them on your computer and run them to install them. Open the Windows Start menu and choose Settings . Then select Network and Internet . The window for that category opens (like the image above). Left click on Airplane mode . Check that the switch is OFF on the right. And Bluetooth and Wi-Fi (if it appears) are ON. You may lack a necessary update of some kind. 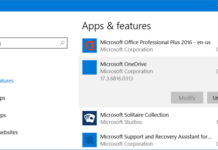 Install all those offered by Windows 10. Both important and optional. See how to update Windows 10 by using Windows Update . It is especially effective if Bluetooth suddenly stops working just after installing a new program, driver, or Windows update. The restore allows you to go back to a point (restore point) just prior to when you installed them and everything worked fine. Follow these steps to restore your system. After downloading and installing bluetooth specific drivers for your windows device, just reboot your windows pc and check your bluetooth connectivity.If your windows bluetooth is still not working. Then keep following the below instructions. Sometimes your laptop will ship with a wireless manager that will interfere with Windows’s own wireless management. Uninstall the application that comes with your PC and manage your wireless directly in Windows 8. When this switch is off, Bluetooth will not even appear in Windows, so make sure it’s in the On position before trying to activate Bluetooth in software. While New Laptops Have A Built-In Wireless Adapter, Allowing The System To Freely Access The Internet, Laptops For Several Years Have A Wireless Button Or A Switch On The System. Without The Power Switch The Computer Can Not Access All Wireless Signals, Even If It Is Your Own Home Network. Turning On The Wireless Switch Takes Only A Moment Or Two, And The Item Is Usually Located At The Top Of The Keyboard, Just Below The Monitor. Turn On The Laptop And Wait For The Operating System To Start Before Continuing. Click The Wireless Network Icon In The Lower Right Corner Of The Desktop. From The Pop-Up Menu, Select “Enable”. This Activates Wireless Internet Options, But The Wireless Receiver Does Not Turn On. Push The Wireless Button Or Wireless Switch On The Top Of The Keyboard. After A While The Switch Or Button Turns On, Which Means The Computer Is Ready To Connect To The Internet. Click The Wireless Network Icon Again. From The Drop-Down Menu Choose To View All Available Wireless Networks In The Zone. A Window Appears With All The Networks Your Computer Receives Some Type Of Signal From. Select The Wireless Network You Want To Access, Enter The Password (If Necessary) And Click “Connect.” Momentarily The Laptop Connects To The Internet. 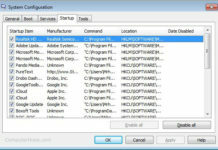 Driver Reviver is excellent at tracking down the latest wireless drivers for your laptop. If you’re having trouble locating the specific Bluetooth driver update you need for Windows 8, Driver Reviver will do the trick. If you have an ASUS K55A, grab the most recent drivers from this page on ASUS’s site.The ASUS Republic of Gamers G74SX has a forum thread dedicated to it with multiple solutions. Check it out. Those with an ASUS Vivobook S200E or X202 can get the latest drivers on ASUS’s site as well. And those with a Vivobook S400CA can also get drivers from ASUS’s site. If you have a Dell Inspiron N5010, you need to get the most recent Bluetooth driver for your machine on Dell’s site. This article provides information on how to turn on and off wireless connections (wifi, Bluetooth, and mobile broadband) on a Dell laptop. Look for the network icon in the taskbar or in the hidden icons area (both are in the lower right corner of the screen. See the section below for examples of network icons) and refer to the tab that matches the icon on your computer. Be sure to unplug any network (Ethernet) or uncoupled cables before performing the steps, otherwise the wireless connection icon may not be displayed correctly. When you can not find the wireless connection icon, restart your computer. If it still does not appear, download and install the latest drivers. For more information, seeDownloading and Installing the Latest Version of the Dell Wireless Network Adapter Driver . For information about enabling or disabling Bluetooth or individual devices, touch or click the Bluetooth and Other Devices tab . Touch or click the network icon (). Touch or click the Wi-Fi panel. The panel should change from blue to gray and should look like Figure 1. Note: If you need to disable all wireless devices (Wi-Fi, Mobile Broadband, Bluetooth, GPS, and NFC], touch or click airplane mode. The panel should change from gray to blue and should look like Figure 2 . If you have a Dell Studio 1555, get this driver from Dell’s site instead. Before you establish Bluetooth connections, click HP Bluetooth Driver to download the software package from the HP website and use the Add a Device Wizard to automatically detect your Bluetooth device or identify the problem. Follow these steps to run the Add a Device Wizard. Click Start , type add in the search field and select Add a device from the list. The wizard looks for devices to add to the computer. Once the device has been detected, you can add the Bluetooth device to your computer. Make sure the device is fully charged or connected to an AC adapter. Verify that the Bluetooth device is turned on and in detection mode. To learn how to make your Bluetooth device discoverable, refer to the instructions that came with the device. To manually set up Bluetooth connections with your computer, read the rest of this document. 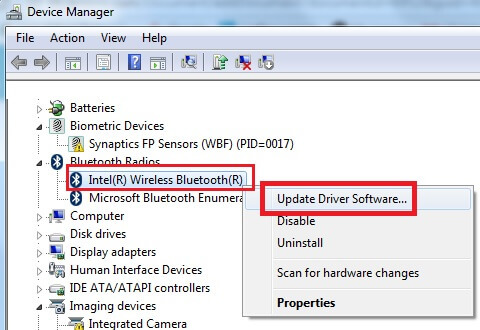 Update the drivers for your Bluetooth software, available on the HP website. This will help improve the performance and operation of your device. Click HP Bluetooth Software to download the software package from the HP website. For the Lenovo G450, though, try this driver on Lenovo’s site. Press the Windows key –> Click “Settings” –> “Network & Internet” –> “Airplane mode”. Select “Bluetooth” then move the toggle switch to On. Press F7 or Fn+F7 to switch Airplane mode, then the Bluetooth will be on automatically. Bluetooth option is missing. Please check this document Cannot find Bluetooth toggle in Windows 10 – idea/Lenovo laptops. The Samsung laptop can find the latest Bluetooth drivers from this location on Samsung’s website. Sony has been slow to release Windows 8 drivers for some of their older laptops, and may not be doing so at all. . Try this driver on Sony’s site. The Toshiba Satellite Core i5 P855-S5312 and other Toshiba models can use this recent Bluetooth driver from Toshiba’s site to get it working.If you have a Toshiba Satellite C640-PSC2UG instead, try this driver from Toshiba’s site. If the phone and headset are on but there is no dial tone, make sure that both are fully charged (the adapter also, if necessary). Most have a flashing light that indicates a full charge. If they still do not work, they may need to be synchronized manually so they can communicate with each other. This is also known as linking or pairing. Using the phone menu screen, find “Communications” or “Connections” and scroll to “Bluetooth”. Select it and go to “Search for Devices”. Choose the device you want to sync with on Bluethooth. If you are successful, you will hear a ringing tone on the handset. Some Bluetooth problems are very easy to fix. A simple but often overlooked step is to make sure that your device is on. Some phones do not even show the “Bluetooth” option in the menu screens unless the Bluetooth device is turned on. If the Bluetooth option does not already exist, make sure your phone is enabled for wireless connectivity. If not, you will need an adapter. When you want to send a file, go to “Send via Bluetooth” on your phone, the device list may be empty. Sometimes this can be solved by the physical movement of the devices with each other. The maximum distance between the devices is 30 feet (9.14 m), less if there is an obstacle blocking the signal. You may get an error message when you try to send a file, telling you that there is a transmission failure. First, it checks if the receiving device waits for a security code before receiving transmissions. Some phones have security restrictions to prevent hackers. If that is not the case, you may have a weak signal. Try to move closer to the target device and resubmit the file. Most devices equipped with Bluetooth come with a factory set name. Change the device settings so that all your electronic devices have unique nicknames. There are still some compatibility issues between Bluetooth devices, too. If you can send a file from the phone to the computer, the odds are that everything works correctly, but you have compatibility issues with the receiving device. Check the manufacturer’s website for software updates for the phone or visit a service center. But beware: New software for the phone that updates the operating system can erase all the information on the phone. 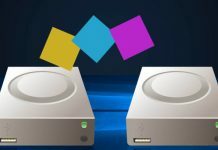 Personally, before using DLNA , I almost prefer to use a direct Bluetooth connection to listen to the music stored on my PC through the speakers of my Home Cinema equipment. Connecting a device via Bluetooth is nothing new, although sometimes some doubts arise because, although the product is paired, it is possible that we can not yet take advantage of an activity as simple as, for example, listening to music with our wireless headsets. 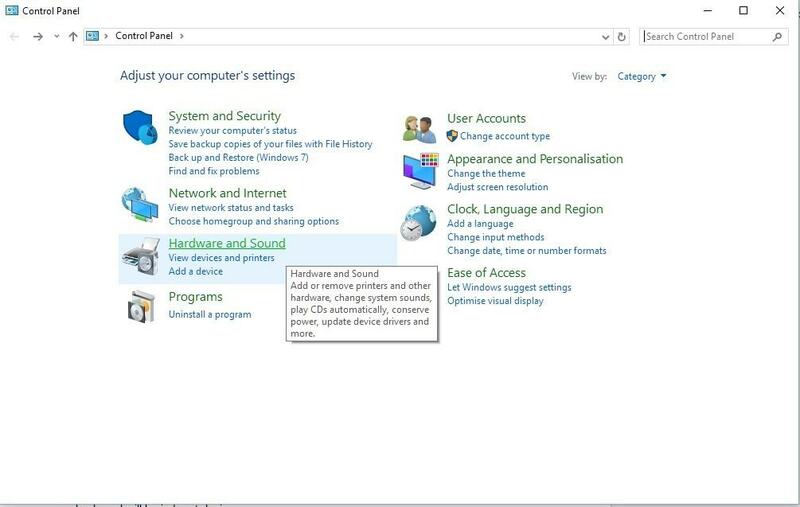 From the side menu of Windows 10, which appears in the right margin, you could quickly connect the audio device by clicking on the “Connect” access although, if it is the first time, I always go to the configuration menu, I enter ” devices “and then go to the” Bluetooth “section. You will only have to make sure that our audio equipment is in pairing mode (it usually emits a flashing light in one or several colors), wait for our PC to detect it and then click on “Pairing“. In the taskbar of Windows 10 we locate the icon that corresponds to the sound, we place on it and we press the right button of our mouse to deploy a menu of options. Next we select “Reproduction Devices”, place the pointer on the device we want to use, access a menu of options by right-clicking again and select “Set as default device”. Now the music should ring from the connected external device. These additional steps should only be done the first time you set up a new device, not previously paired with your PC, unless you are handling several wireless audio products. Do you think it will be as simple as pairing the phone with the PC, selecting the files and then sharing them? It is what one can initially think, until it encounters an error message on the Smartphone screen. With Windows 10 we must proceed in a different way if we want to send content from our mobile device. We start from the fact that the phone and the PC have already been paired, as I mentioned earlier when dealing with the issue related to audio devices, but now we have to take some additional actions. Without leaving the configuration menu of the section dedicated to Bluetooth connectivity, you must enter “Send or receive files via Bluetooth“ and then select “Receive files”. Now it’s time to select the files on your phone and share them with your PC: depending on the total size of the file or files to send, there may be a few seconds of delay. At the end of the process, Windows 10 will indicate the location of the files. Sometimes activities that seem simpler need a series of concrete additional actions. Sharing a file via Bluetooth should not require more than a couple of actions, and listening to music with a Bluetooth headset should not require more actions than the simple fact of matching source device and target device. Once removed we must add it by pressing the Add a device button and add it to the system. It is often the case that Bluetooth devices can not find the device within range and this can cause problems. Once this option is selected we will see the following window. Select the ” Allow Bluetooth devices to find this device” box, and click OK to save the changes. There click Next and follow the steps of the wizard. There we go to the Controller tab and perform the respective process of updating or reinstalling the controller. Using these methods we can solve the problems presented with our Bluetooth devices in Windows 10. In this way we will avoid that any errors prevent our connection between devices is not as effective as it should be. Bluetooth has recently become an important feature in laptops and desktops to share files and to connect various Bluetooth devices ranging from wireless headphones to bluetooth keyboards. Some Windows 8.1 and windows 10 users have reported various Bluetooth issues after upgrading from Windows 8 to windows 10. 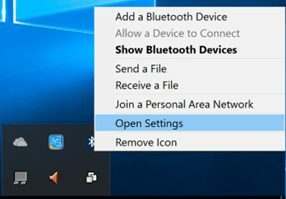 So, if you want to fix bluetooth not working in windows 8 or windows 10, then you should follow the below steps to know, how you can eradicate this Windows bluetooth stops working or connecting problem? Download the Drivers and install them. Now you have to type regedit which will open the Registry editor. 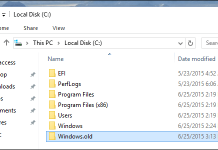 Change Current version value from 6.3 to 6.2.
if you have updated your Windows 8 laptop or computer recently to Windows 8.1 or windows 10, then you will easily see the difference between these two versions. You can see all the new features of windows 10 by following this windows 10 dedicated guide. Some, of you may also have encountered some problems and errors on your windows 8.1 or windows 10 pc after upgrading from windows 8. My Bluetooth device disconnect again and again and Shows a Error “The btvstack could not be started”. So follow below steps to solve this problem. This solution will solve for all major laptop brands and manufacturers like Dell (Inspiron, Latitude, Precision, Studio, Vostro, XPS, Studio XPS, Alienware), HP (HP Pavilion, HP Omnibook, HP Elitebook), Sony (VAIO), Lenovo (ThinkPad, IdeaPad, 3000 series), Acer (TravelMate, Extensa, Aspire), Asus (Asus Eee, Zenbook), Toshiba (Dynabook, Portege, Tecra, Satellite, Qosmio, Libretto), Samsung (Sens), Compaq, IBM, etc. 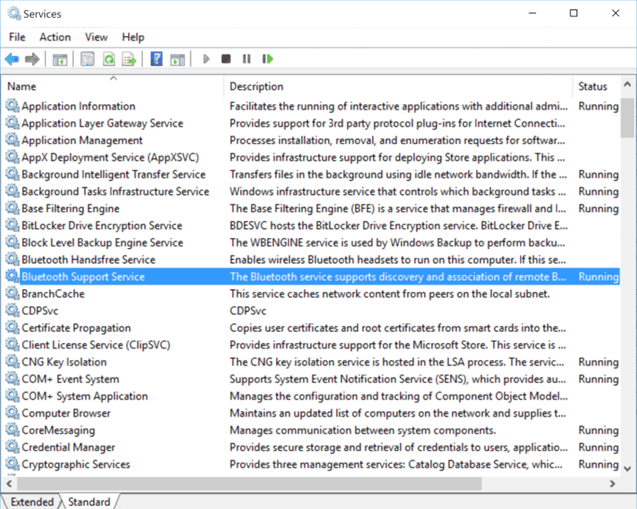 Open CMD (or press Windows + R button)on Windows and type “services.msc” and Enter. Now you will see “Bluetooth Support Service” just double click on it. Now In the General Tab, you have to change startup type Manual to Automatic. Now click on Log On Tab and mark on “This Account” and type your account name or browse to find your account name. → Now remove both hidden password and restart your PC. Now Re install your Bluetooth drivers. You can download latest Bluetooth drivers from your PC official website. 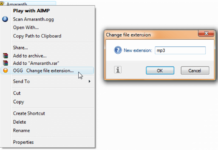 If Bluetooth drivers not compatible with Windows 8.1 then follow simple steps. In Current Version find Current version and change the value 6.3 to 6.2. Now check your Bluetooth device, If you have any question about this problem please comment below. Do you have problems with Bluetooth on the phone with Windows 10? How can I try to automatically solve common Bluetooth problems? Select the Start button and then select Settings > Updating and security > Troubleshooting . In Finding and fixing other issues , select Bluetooth > Run the troubleshooter . The Bluetooth toggle button is not in the Bluetooth settings and other devices or can not be activated. What is the solution? Check with Device Manager if the latest Bluetooth drivers are installed. In the taskbar search box, type Device Manager , select this feature from the list of results, and expand Bluetooth . Press and hold the Bluetooth radio option (or right-click on it) and then select Update Driver > Automatically Find Updated Driver Software . If Windows can not find a new driver, look for one on the device manufacturer’s website and follow the instructions. In the taskbar search box, type Device Manager , select this feature from the list of results, and expand Other Devices in Device Manager. Select the unknown device, press and hold (or right-click on it), and then select Properties . Press and hold the id. (or right-click on it), and then select Copy . Search the Web for the id. of hardware you copied to try to find the manufacturer name of the Bluetooth radio. Then, visit the Bluetooth hardware or the computer manufacturer’s website to download a Bluetooth driver that is compatible with Windows 10. Microsoft is already working on the solution for this patch, although, at the moment, we can not know when it will arrive. However, before giving everything up for lost, it is advisable to try to solve these problems using the problem solver of Windows 10 Creators Update, one of the novelties included in this update that, in many cases, has managed to solve the bug. To do this, simply open the Configuration menu of our Windows 10 and we will go to the section “Update and security> Troubleshoot“. Here, we will look for the section ” Find and fix other problems ” where we will find the tool that will allow us to solve everything related to Bluetooth. We run the Bluetooth troubleshooter and wait for the tool to finish parsing our system. In case of detecting a problem, this same tool should solve it automatically, allowing the devices that do not work correctly to do it again. This troubleshooter often solves problems with Realtek radio controllers , however, other drivers, especially those using Bluetooth LE , have no solution, for now. In case this troubleshooter is not able to make our Bluetooth devices work normally again, we will be able to wait until we get the expected patch that Microsoft is working on, or try, if we can, to connect our devices via cable temporarily until the problem is solved. IMany Windows 10 users are also having problems lately when connecting to WiFi networks -, problems that, fortunately, have also been recognized and Microsoft is already working to solve them as soon as possible. Have you had problems with your Bluetooth devices in Windows 10 Creators Update? The problem is certainly no drivers, you have to re-install them, download the ones from your laptop model and install them using the Modify option when the options appear in the driver installation. I took the page to download that driver specifically, I downloaded the driver for wlan + bluetooth driver, then I gave it to install _ cd and I opened the installation program, I deployed the option of – modify, install, uninstall and chose the to MODIFY, then overwritten the corresponding drivers and re-installed the corresponding driver, then running wlan and bluetooth perfectly again. No doubt that the update to 8.1 of windows 8 comes with that problem. The simplest ones maybe the controller was damaged, or just the laptop is in airplane mode, and well, a long etc. In my case it is not like that, I have done several things. I indicated at the beginning that I used an HP driver for the same device as an Atheros AR3012, and it worked but only for a while. I do not know the cause, but it did. It took some time, and again to load, to see if he could solve. 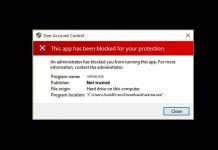 Samsung indicates that it is Microsoft’s fault with its Windows 8.1 that certainly gives many problems even with software of its own authorship, example MS SQL Server. Microsoft says virtually nothing. Just an email asking if the problem has already been solved, I have replied that NO, but that’s it. In the forums of Microsoft happens the same, in the end, there is no answer that leads to a real and definitive solution. Well, I’m not an expert either, maybe I do not laugh, lol. It is rare that a tablet (HP brand even more) does not bring Bluetooth device, there are videos of “how to activate” the device indicated even on youtube, maybe you should see it, or in any case, the hardware features of your tablet. First of all, obviously if you do not have the hardware, the software would be useless. I hope I understood your query well. And apologies to all the others who commented or made any inquiry about it, I did not respond because my work is in an area where there is no stable internet service and I can barely see my messages, anyway, matter of time. But maybe from now on I can try to help them. I tell them that I had to solve it in a different way, different from the one I mentioned here when I started, and that it is working so far. Open the Start Menu and type “Control Panel”, open the control panel. Now find the “Hardware and Sound” category and find the Bluetooth devices page. Select the device that is not working and remove it. Now click Add and add the device back again. If that doesn’t work, try this on the same page as method 1. On the Bluetooth devices page, click the Options tab. If unchecked, check the box that says “Allow Bluetooth devices to connect to this computer”. 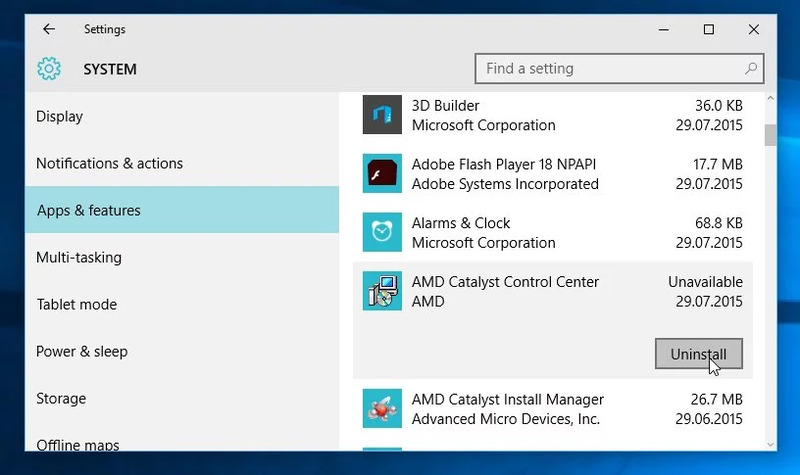 Open Start Menu and type “Device Manager”, and open the Device Manager. Now find the device that is not working in its appropriate category – for example, the keyboard will be in Keyboard devices. Once you see the device that is not working properly now, right click and uninstall its drivers. Once done, reboot your PC and let Windows download the latest drivers for Windows 10 from the Microsoft service. Reboot once again and hope for the best. You can set several options for how your computer finds (or is found by) Bluetooth enabled devices. To restore the default settings, follow the steps below. While the display is blank, press the f10 key to enter the BIOS setup menu. Press the f9 key to reset the BIOS to factory settings. Press the f10 key to save the changes and exit the BIOS setup menu. If it still does not work restore the pc to the factory state with the recovery (back up your data) to rule out hardware problems. Troubleshooting Internet connection loss or email over a wireless network. Symptoms may occur when the hardware manufacturer has implemented a hardware switch to enable or disable the wireless radio. The functionality allows you to deactivate the wireless radio device in sensitive radio environments, such as an airplane. Bluetooth has recently become an important feature in laptops and desktops to share files and to connect various Bluetooth devices ranging from wireless headphones to bluetooth keyboards. Some Windows 8.1and windows 10 users have reported various Bluetooth issues after upgrading from Windows 8 to windows 10. So, if you want to fix bluetooth not working in windows 8 or windows 10, then you should follow the below steps to know, how you can eradicate this Windows bluetooth stops working or connecting problem? There may be times when you want to enable or disable Wi-Fi, Bluetooth, or mobile broadband connections, for example when you are on an airplane. Touch or click the network icon ( ). This section provides information on how to access Bluetooth radio and where to change the settings of other wireless networks. Hold down the Windows key ( ), and then press the i key . Touch or click Devices . Touch or click Bluetooth . Tap or click the Bluetooth slider to turn Bluetooth radio on or off. Touch or click More Bluetooth options to turn the Bluetooth device’s display mode on or off. Touch or click Networks and Internet . Note: From this screen you can check the status of the Internet connection, enable or disable the wireless radio, activate or deactivate airplane mode, use the equipment as a mobile connection point and change settings for VPN, data usage and the proxy server. Start from the desktop (if necessary, click desktop from the start page). (both are in the lower right corner of the screen. See the section below for examples of network icons) and refer to the tab that matches the icon on your computer. For more information on how to turn the Bluetooth device on or off or change the settings, touch or click the Bluetooth Options and Settings tab . Touch or click the slider to the right of Wi-Fi. The slider should move to the left. Wi-Fi status will change from on to off and should look like Figure 1 . Note: If you need to disable all wireless devices (Wi-Fi, Mobile Broadband, Bluetooth, GPS, and NFC], such as when you are in an aircraft, tap or slider to the right of the airplane mode. The slider should move to the right. The airplane mode status will change from off to on and should look like Figure 2 . The Windows Mobility Center gives you quick access to the most common mobile features. In the search box, type Mobility Center . Click Windows Mobility Center in the search results. Click Disable connection or Enable connection as needed. Note: If it is not possible to turn the connection on or off (gray), the wireless hardware switch has disabled the wireless radio. The wireless hardware switch must be manually operated to activate the wireless connection before accessing the Windows Mobility Center. Refer to Table 1 for possible combinations of keys and wireless hardware switch locations sorted from the most common to the least common. (Applies to older Latitude and Precision models). For more information, see the Quick Start Guide for your laptop, as this is the best place to find that information. Connect the affected device to the router using a network cable (when possible). Use another device that has an Internet connection to download the driver and use a USB flash drive to transfer the driver to the affected device. For tablets, use the USB cable that comes with the tablet to transfer the driver to the tablet, which has previously been downloaded to another device with Internet connectivity. The network adapter drivers are located in the Network section . Go to the Dell Drivers and Downloads website . Identify your Dell product by clicking Detect Product . Follow the on-screen instructions to install the Dell Detect application . See the Dell Knowledge Base article Dell System Detect for more information. Alternatively, you can enter the service tag, the fast service code, or the serial number for your Dell product and click Submit . Or, select your Dell product manually by clicking View Products . In Optimize your system with drivers and updates , click on the Guide me tab to download and install the device drivers automatically. To manually download device drivers, click the Find it myself tab . Next to View all available updates , verify that the correct version of the Microsoft Windows operating system is displayed. Click Change OS to select the correct Microsoft Windows operating system that is installed on your Dell computer. Identify the device driver in the categories that are displayed on the download page. See the Driver and Download Categories section of this article for more information. Click Add to My Download List on the driver you want to download. Repeat step 6 until you have selected all necessary device drivers. Click Go to My Download List . Click Download this list (Download here) to start the download process. Note the location where you will save the downloaded files. With File Explorer (also known as Windows Explorer), navigate to the location where the downloaded file was saved. Double-click the driver’s .exe installation file and follow the on-screen instructions to complete the installation process. Some device drivers may prompt you to restart the computer to complete the installation process. This article provides a list of links for Bluetooth solutions. Remotely controlling and communicating with devices, such as mobile phones. Open the Access bar -> click “Change PC settings” -> “PC and devices” (PC and devices). Select “Bluetooth”, and then move the Bluetooth switch to On. Press F7 or Fn + F7 to change the Airplane mode, then the Bluetooth will be activated automatically. Press the Windows key -> Click “Settings” -> “Network and Internet” -> “Airplane mode” Select “Bluetooth” and then move the switch to On. This document demonstrates the methods on updating or fixing a faulty Bluetooth driver. 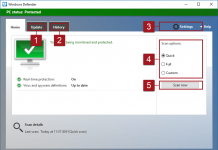 Select Search automatically for updated driver software, and then follow the remaining steps. Visit the Lenovo support website home page. Enter the corresponding product family microsite. 1. Press Windows + X, Click Device Manager. 3. Right click on the drivers and click uninstall. Please download the driver from Lenovo Support Site and reinstall the driver. Note : Go to Lenovo Support Site and select your product first before proceeding to download the driver. If you were playing sound with the audio application before connecting the headphones, the headphones may not work. Try stopping and restarting the playback application. You should be able to hear the audio through the headphones after restarting the playback application. If restarting the playback application does not resolve the problem, use the Sound application to make sure the headphones work. To use the sound application, follow these steps. Click Start , type sound in the search field, and select Sound from the list. Click the Playback tab if it still does not appear. The status of the device will be displayed. The device with the green check mark on the side is the active device. If this error message appears, re-start and connect. Make sure your computer has the necessary hardware and that the wireless connection is enabled. Bluetooth requires hardware and software to work. Not all wireless network hardware supports Bluetooth. Use this information to determine if your computer supports Bluetooth. As an alternative to these steps, you can find out if your computer has Bluetooth by referring to the product specifications for your model on the HP website. Look at http://www.hp.com for the exact model of your equipment with the words “product specifications”. 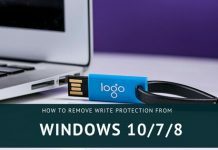 If you are using an external USB wireless network adapter, disconnect it, restart the computer, and then connect it to another USB port once Windows has started. If your computer has a wireless button or wireless key on or near the keyboard, and the wireless activity light is off or amber, press the key or button to activate the wireless adapter. That key could be F10 or F12. , type Device Manager in the Search field, and then select Device Manager from the list. Locate a Bluetooth-related adapter in the main device list and in the Network Adapters category. Search for all Bluetooth entries by opening the Network Adapters category and the Bluetooth Radios category (if available). If you can not find any Bluetooth adapter in the list, your computer does not have Bluetooth hardware or Windows is not recognizing it. If you are trying to use a particular device, such as a mouse, keyboard, or Bluetooth headset, recheck to make sure it did not come with a small USB Bluetooth receiver that plugs into a USB port. If you are trying to connect to a phone or printer and want to add Bluetooth to your computer, you can purchase and install a USB key that plugs into a USB port on your computer. They are relatively inexpensive and can be purchased at local electronics stores. If you have found a Bluetooth adapter and the icon next to it does not have a special symbol, your computer has Bluetooth hardware connected and is enabled. Your computer is capable of sending and receiving Bluetooth wireless signal. If you found a Bluetooth adapter in the list but it is shown with a yellow circle, the Bluetooth hardware does not respond or is not configured correctly. Many times, this can be resolved by disabling the Bluetooth devices that were connected to the computer and restarting the computer. Updating or reinstalling Bluetooth (and WiFi) controllers may also correct this problem if this is not resolved when you restart the computer. If you found a Bluetooth item in the list but it is shown with a white circle and a down arrow, this indicates that Bluetooth is turned off. Click the device and select Enable to enable Bluetooth. 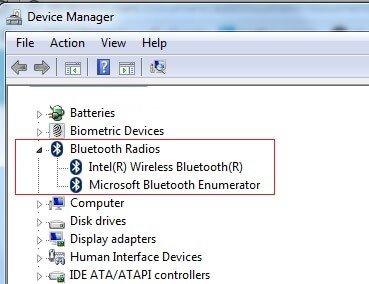 Figure : Device manager showing a Bluetooth device that is disabled. If Bluetooth is enabled on your computer but you can not find or connect to other Bluetooth-enabled devices, such as a phone or the keyboard, make sure that the device in use has Bluetooth enabled and make sure Bluetooth device detection is enabled in the team. Many phones, tablets, and other types of Bluetooth devices can turn the Bluetooth feature on or off. Bluetooth is often turned off by default to save battery power. Go to the device setup menu and make sure that Bluetooth is enabled and can be detected by other Bluetooth devices. Check the documentation that came with the device, if necessary. , type Change Bluetooth in the Search field, and then select Change Bluetooth Settings from the list. 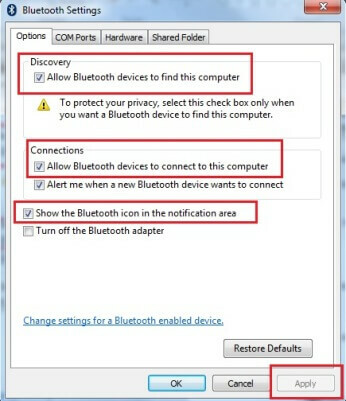 On the Options tab, select Allow Bluetooth devices to find this computer, and make sure that Allow Bluetooth devices to connect to the computer is selected. Click OK and try to connect to your device. If problems persist, go to the next step. Downloading and installing the latest Bluetooth driver can solve many problems related to Bluetooth, especially when Bluetooth stops working after an upgrade or a change to a later version. Use one or more of the following sections to find updated Bluetooth drivers. If you can not find an updated driver or the updated driver does not solve the problem, go to the next step. HP tests and makes available manufacturers’ drivers. HP may have a newer version of the Bluetooth driver than the one you are using. To find out if a driver is available for your computer model, visit the HP software download site and enter the model number to find software and drivers. The Bluetooth driver may be included in a wireless driver package or chipset. Read the installation instructions on the download page. You may also need to update your wireless controller, in a particular order. For more information about downloading software, see How to Obtain Software and Drivers . If the updated driver does not solve the problem, go to the next step. HP personal computers with Windows bring HP Support Assistant installed. HP Support Assistant can be used to automatically find and install the latest updates for your computer. If HP Support Assistant is not installed on your computer, you can go to the HP Support Assistant site to download and install the HP Support Assistant software. Double-click the HPSA icon on the desktop or select HPSA from the Home screen. In the HP Support Assistant, click Updates and Optimizations . Click Check for updates now . HP Support Assistant will look for the latest HP updates. If new updates are available, make sure that the check box next to each update is selected and click Apply to start downloading and installing the updates. If no new updates are available, click Finish . If you can not find an updated HP driver, use Device Manager to find the latest Bluetooth drivers. Right-click the name of your Bluetooth adapter and select Update Driver Software . Follow the on-screen instructions to install an updated driver, if available. 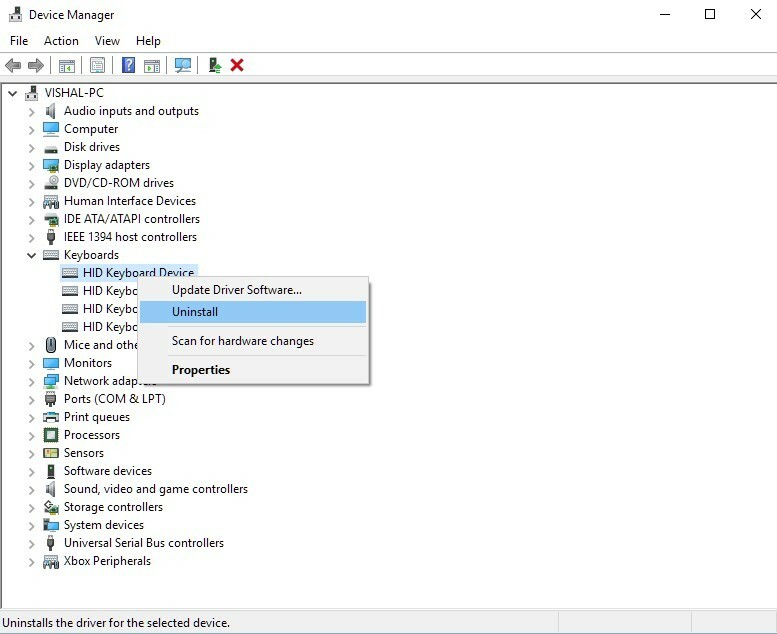 If the Device Manager does not find an updated driver, you can search it on the manufacturer’s website for the wireless adapter. If Bluetooth worked in the past, but now can not connect or do not perform well, use Microsoft System Restore to restore your system files to a date and time when the wireless network connection worked well. 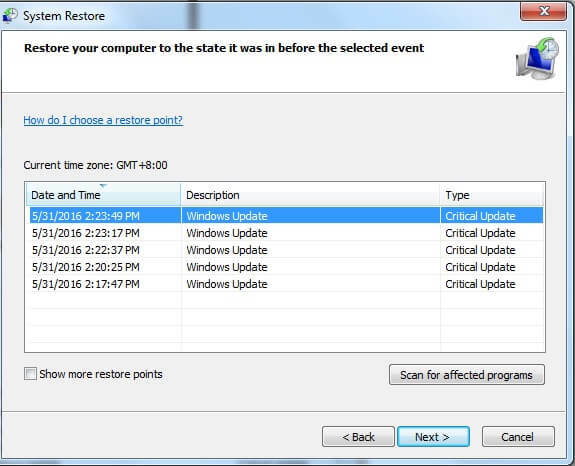 For more information about how to use System Restore, see Using Microsoft System Restore . Review the tips in this section for helpful information that may apply to your situation. Read the instructions that came with the Bluetooth device carefully. There may be special requirements or software you need to install. Check the device manufacturer’s website for software updates and information. Make sure that the device you are trying to connect to is compatible with Windows 7. Make sure the printer is within 10 meters (about 19.7 feet) of the machine. Make sure that Bluetooth is enabled on the printer. Use the printer control panel and look for the wireless or Bluetooth settings. To add the printer, click Start and type Bluetooth in Windows Search. When paired, HP printers use a code called a passkey. Match that code with your pairing code when setting up the printer for the first time. Look for a small USB key. Although not all, many Bluetooth keyboards and mice use a special USB receiver device that connects to a USB port on the computer. This device is small and can easily be confused with a storage device, or could even accidentally dispose of it with the packaging. If you are not using one, check again and make sure a receiver is not required. The Bluetooth mouse connects via the Plug and Play process and does not require a sync code. To troubleshoot, make sure the mouse has new batteries in the same package or is fully charged. 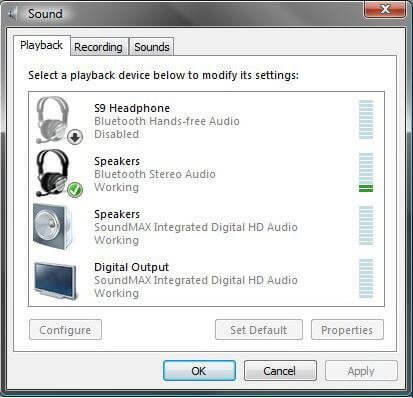 If your speakers, simple headset, or headset with microphone appear in Windows but can not hear sound, set them as the default playback devices in the Windows audio properties for your speakers (and microphone). Unpair or disconnect other paired devices if more than one Bluetooth device is connected. None of your Bluetooth devices, such as the wireless keyboard, the wireless mouse, wireless headphones, wireless speakers, wireless phones, wireless fitness trackers works, and even you cannot find where to turn Bluetooth On or Off. – Down Arrow= Bluetooth is disabled. Right-click the device and select Enable to turn on Bluetooth. Click OK and try to connect to your device.If problems persist, continue to the next step. Visit the https://support.lenovo.com home page. Personal files, such as documents, email, photos, and music files, are not changed.However its recommended you perform a backup. Go to System Restore, type “system restore” in the Start search box to locate it. Choose the restore point when Bluetooth is working properly. Confirm your restore point and wait for it to complete. On systems running Windows 10, it was searching for bluetooth devices, but it failed to find any bluetooth devices. 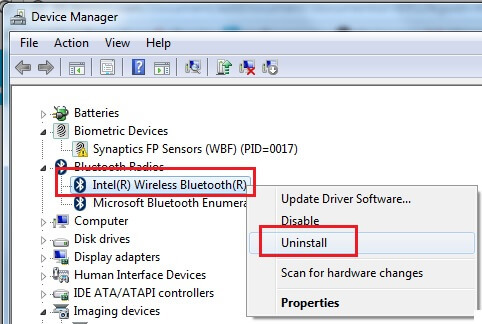 If the driver was disabled, right-click the driver, then select Enable, If a yellow question mark or else shows, please try to uninstall all bluetooth device in Device Manager , and all bluetooth related programs in Programs and Features. Go to Lenovo support website to download the latest Bluetooth driver then install. Press the Windows key + R on the keyboard. Key in “services.msc” without quotation marks. Click OK to continue. Find “Bluetooth support service”. Double click on it. In General Tab change start up type Manual to Automatic . Right-click the Bluetooth icon on the notification center of the taskbar. Select Open Settings. If the device you are trying to connect to is a smartphone, confirm that the smartphone is visible to all nearby bluetooth devices. 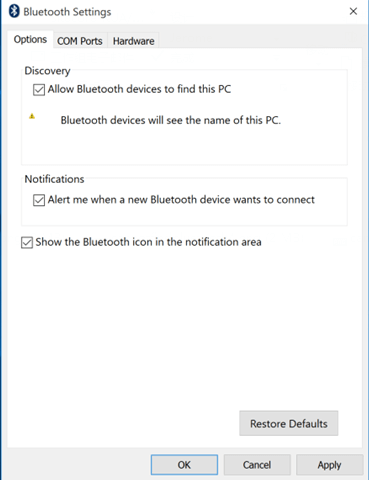 So, if you want to fix bluetooth not working in windows 8 or windows 10, then you should follow the below steps to know, how you can eradicate this Windows bluetooth stops working or connecting problem? You can connect a wireless phone, keyboard, mouse, or other device to your computer. This includes Bluetooth and wireless network (Wi-Fi) devices. You can also add a network device to your computer, such as a network-enabled printer, storage device, or Windows Media Center Extender. You do not have to add devices already connected to your computer with a USB cable or other wired connection. Windows will automatically detect and display them. Open Control Panel by clicking the Start button, and then clicking Control Panel. Under Hardware and Sound, click Add a device, and then follow the instructions. If you do not see the wireless or network device you want to add, see the instructions below. If Windows can not detect a wireless device that you want to add to your computer, here are some tips that can help. Make sure the device you are trying to pair with is not turned off, low on battery power, or in sleep mode. Make sure you have not already added the device to your computer. Devices that have already been added are not displayed in the list of devices you can connect to in the Add a device wizard. Make sure the device is within range of your computer, typically within six to nine feet for most Bluetooth devices, or within 100 feet for a Wi-Fi device. If you are not sure if the device is in range, try moving it closer to your computer. If there’s a wall between the device and the computer, try putting the device and computer in the same room. Make sure there are no other devices interfering with the wireless device, such as microwave ovens, cordless phones, or other wireless devices. If your computer uses an external Bluetooth or Wi-Fi adapter, make sure the adapter is working correctly and is properly installed. If Bluetooth capability is integrated into your computer, make sure the Bluetooth radio transmitter is turned on. This might also turn your wireless network on and off. Many laptops have an external switch for turning the transmitter on and off. If you are not sure how to turn it on, check the information that came with your computer or go to the manufacturer’s website. Make sure the device is discoverable . When a Bluetooth device is set to be discoverable, it sends out radio signals to advertise its location to other devices and computers. If you are not sure how to set your device to discoverable, check the information that came with your device or go to the manufacturer’s website. A device (such as a wireless mouse or a keyboard) might have a button on it that you need to push, while others (such as a Bluetooth mobile phone) might have a setting in their software menu that you need to select to make them discoverable. If you are trying to add a wireless network device, it should be configured for your wireless network before you can add it to your computer. If you are not sure how to do this, check the information that came with the device or go to the manufacturer’s website. Is the bluetooth, wireless or network device connected successfully? In Windows 10, bluetooth toggle is missing from Settings > Network & Internet > Airplane mode. This issue should be due to that no Bluetooth drivers were installed or drivers corrupted. Right-click Bluetooth support service and select Properties. Under the tab of General, set the Startup type as Automatic then click Start under Service status. Restart the computer once it is uninstalled. Go to Lenovo Support Site, search your product and filter out bluetooth driver to download. Reinstall the bluetooth driver manually. Click “Start” button, and then select “Devices and Printers. Right-click the device icon of your computer name and select “Bluetooth Device”. In this article, the computer name is “123-PC”. In the “Bluetooth Settings” window, check “Show the Bluetooth icon in the notification area”, and then click “OK”. If the Bluetooth icon still does not show up, please reinstall Bluetooth driver. More and more Bluetooth devices with which we interact daily, from keyboards, hands-free, location systems like the one we mentioned recently: Wootch the clock with Bluetooth to keep your children watched: Wootch the clock with Bluetooth to keep your children monitored, sound systems and soon watches, the list can go on and on, it can not be denied that the stability of Bluetooth connections has improved considerably over the years, even so it is common to have disconnections and some small connection problems , the older the more common devices since some of the improvements in the connection are in the Hardware. The current devices are more stable and it is rare that they show some disconnection. – My bluetooth device is disconnected. But what can you do when your devices do not connect or disconnect? Well there are several tips that will happen to you although there is no definitive solution, these tips can help you avoid disconnections or achieve the connection. Place the device in pairing mode: if it is the first time you are going to synchronize a Bluetooth device with your Smartphone or Table, you first have to communicate with each other, “Know yourself”, for this you need to perform 2 steps, first on the device, put it in pairing mode or synchronization, this is usually achieved by pressing several buttons on the device, it is very variable depending on the device, you can check the manual to know which button, if there is only one, there is no loss. Once in pairing mode, you have to ask the Smartphone, Tablet or Lap to find the available devices, when you find it accepts the connection and you probably need to enter a code, if not deployed on your computer could be ” 0000 “otherwise you will have to return to the manual, this will achieve the connection of the equipment and you will be able to make use of it. Turn off the device and turn it on again: This often solves the problem, the same applies to the two devices, the Bluetooth device and your Smartphone or Tablet, for the latter, to enter the configuration and disable the Bluetooth or put it into mode is sufficient, remember to activate it again. Update your Software and Firmware: Many software will notify you when there is an update, but if you have problems and you have not received notification of an update, visit the manufacturer’s hardware and software page to see if there is any software update or Firmware, these updates are usually to troubleshoot performance issues. While reading this tutorial, we understand that you have downloaded the latest firmware for your device, tried pairing Bluetooth devices, restarted them several times, and read and followed the instructions for pairing devices. There are several basic things you can try to solve for Bluetooth faults. It is known that there are certain applications that interrupt the operation of Bluetooth, so deactivating them can solve the problem. On the other hand, Samsung indicates that clearing the cache can solve many of the problems in Galaxy S7 and S6. A common problem is that the synchronization of the phone’s contacts with the car’s hands-free system works incorrectly, not synchronizing all the contacts and getting to produce cuts every time in the music repeatedly, or worse, blocking the whole system . Currently we have hundreds if not thousands of contacts on the phone and this causes this type of errors because there are many data to transfer, saturating the system many times. If we do not want to be so radical, we can try to reduce the number of contacts in the mobile until the amount does not block the Bluetooth system. This operation clears the Bluetooth cache that is proven to effectively troubleshoot problems as reported by many users. Wait for the operation to complete and select “Reboot” to restart the phone. This latest process normally corrects most erratic Bluetooth issues and malfunctions, we hope that it will also work for you. we want to show you how to solve some Bluetooth connectivity problems that have come with iOS 10 . Above all, this problem is causing playback cuts when using Bluetooth speakers or headphones with the same transmission technology. As always, we recommend taking some preliminary steps to ensure that we do not miss anything. Read the instructions well, and do not take any steps that generate some kind of doubt or do not understand. Make a backup, either in iCloud or iTunes, so we will ensure that when changing settings we can restore the device to an earlier version that included all our content. And finally, if you have any doubts, go to the comment box, our community of readers, as well as the editors, will help you as much as possible, making it much easier to collaborate on this type of tutorials. Bluetooth is being the technology that most fail is giving with iOS 10. Let’s try the first and most obvious of the classic methods to fix things in the computer world, reboot. First we will turn off Bluetooth, either from the Control Center or from the Settings application, you decide. Then restart the device, for this we will press the Home button and the Power button of the iPhone 6s devices back, in the case of iPhone 7 the restart is caused by pressing the volume down button and the Power button. Once the device is restarted, we will verify that it works, so we will start the Bluetooth and try to reconnect the device that was causing us problems. Another possibility for re-pairing with a Bluetooth device is to use the ability to “forget device” and re-pair it. To do this, we will go to the Settings application and not to the Bluetooth menu. Inside we will see the list of devices that we have paired with the iPhone, so we will look for the one that interests us and click on the “i” and enter into the device information. Below the whole we will see the possibility of ” forget device “, is the function we were looking for and the one we are going to choose. Now the device will be unlinked, so we will have to re-pair it as usual. Generally this is the option that usually works most of all mentioned above. We should note that in most cases, resetting network settings causes us to lose iCloud Keychain passwords. This function will reset the Bluetooth, WiFi and mobile data connection settings. Remember that the last network settings of the operator that provides the service will also be deleted, but nothing happens, it will ask us to reinstall them as soon as we start the device with the SIM inserted. So, we will go to the Settings application to choose the General option. At the end of everything is the Reset menu , where we find the options to restore iOS from the device. Between the Reset settings we will find ” Reset Network settings “, press and follow the instructions. Diagnosis is a way that Apple employees have to find hardware failures on an iOS device quickly, I myself suffered these problems with the Bluetooth on my iPhone 6s and the diagnosis made in the Apple Store warned errors in Bluetooth . There are two ways of requesting the diagnosis , through the “Apple Chat”, or directly requesting a visit for the SAT in an Apple Store will make the diagnosis. 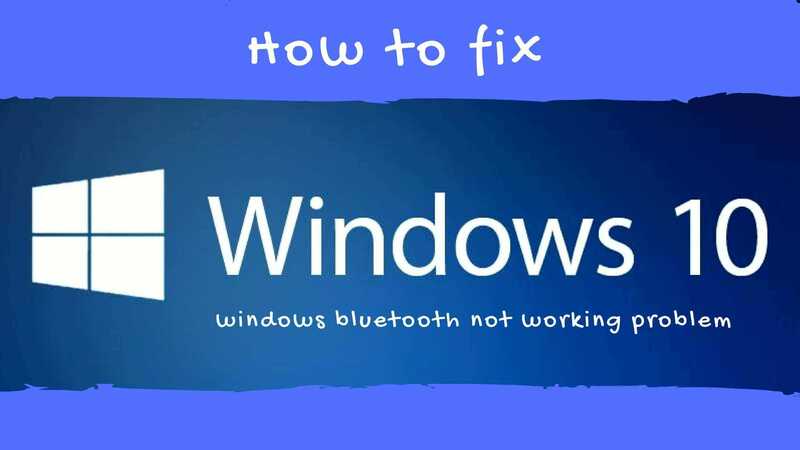 10.6 How to fix Bluetooth issues in Windows 8.1? 12.3 Do you have problems with Bluetooth on the phone with Windows 10?